Swedish favourite Abeba Aregawi is among 12 World champions – including Kenya’s Asbel Kiprop and Ezekiel Kemboi, USA’s David Oliver, Ethiopia’s Meseret Defar, Czech Republic’s Zuzana Hejnova, Russia’s Svetlana Shkolina, Colombia’s Caterine Ibarguen and Germany’s Christina Obergfoll – competing at the IAAF Diamond League meeting in Stockholm on Thursday (22). However, Aregawi’s chosen distance at the DN Galan meeting is over 800m rather than the 1500m at which she won her gold medal at Moscow last week. Aregawi, who has run a Swedish record of 1:59.20 for the shorter distance this year, first emerged as an 800m runner by winning the Ethiopian Championships in 2009 but has since concentrated on the metric mile. 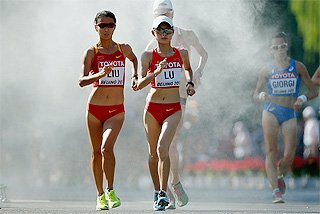 She faces a major challenge to her adaptability in front of a home crowd in the historic Olympic Stadium, which hosted athletics at the 1912 Olympic Games and remains one of the oldest athletics arenas in the world, against a field which includes five of the top six from Moscow including the Kenyan gold medallist Eunice Sum. Sum is also an adaptable athlete, having raced mainly over 1500m earlier this season before deciding to go for the 800m at her national trials. Also challenging will be the USA’s IAAF World Championships 800m bronze medallist Brenda Martinez and her compatriot whose audacious front-running effort only narrowly failed to get her on to the podium, Alysia Johnson Montano. Two other Moscow finalists, Russia’s London 2012 Olympic Games bronze medallist Yekaterina Poistogova and the USA’s 2012 World junior champion Ajee Wilson, will also be in the field for what promises to be an intriguing and competitive race. Will the dream go on for Hejnova? Hejnova is having a dream of a year; having arrived unbeaten in Moscow, she was a commanding winner of the 400m Hurdles final in 52.83. The Czech hurdler is already out of reach in the Diamond Race, but the USA’s Moscow silver medallist Delilah Mohammad, Great Britain’s Eilidh Child and Ukraine’s Hanna Yaroshchuk, who were respectively fifth and sixth in the final, as well as Jamaica’s Kaliese Spencer, will all be asking this question of Hejnova on the night: have you anything left to prove? Defar will take on a field over 3000m which includes the Kenyans who finished second and fourth behind her in Moscow, Mercy Cherono and Viola Kibiwot. Shannon Rowbury, seventh in the Moscow final, heads a strong US challenge that also includes Gabriele Anderson and Jordan Hasay but Defar might find strongest opposition coming from fellow Ethiopian Genzege Dibaba, who was eighth in the World 1500m final. 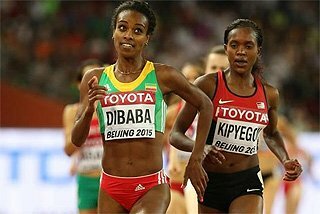 Victory would allow Defar to jump ahead of her close domestic rival Tirunesh Dibaba, the World 10,000m champion who currently leads her in the Diamond Race by two points. Kiprop seemingly won as he pleased to successfully defend his World 1500m title in Moscow. 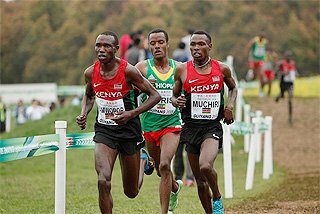 Silver and bronze medallists Matt Centrowitz and Johan Cronje are absent, but Kiprop will not be underestimating a field which contains Kenyan trials winner Silas Kiplagat and another compatriot who took the running out from the start in Moscow before missing out on a medal by one place, Nixon Chepseba. Watch out too for Djibouti’s Ayanleh Souleiman, the Moscow 800m bronze medallist, who will want to prove his quality after failing to qualify for the final in a slow and bumpy semi-final race which saw him almost tripped. Another Kenyan, Bethwell Birgen, fourth fastest in the world this year with 3:30.77, also failed to reach the Moscow final but will also be a threat and USA’s Leonel Manzano is similarly motivated. Oliver turned his dominance during the early season into a big gold medal with his emotional win in Moscow, and he will be looking to maintain his form against a field that includes the silver and bronze medallists, fellow US runner Ryan Wilson and Russia’s 2012 European champion Sergey Shubenkov. 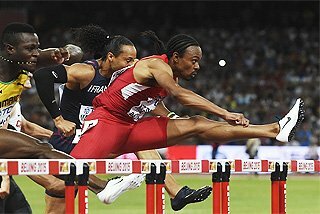 Also in the field is the USA's 2011 World champion Jason Richardson, who finished fourth in Moscow. Oliver has a two-point advantage in the Diamond Race, and this is the ideal time to stretch it before attempting to secure another honour this season at the Diamond League final. Germany’s Christina Obergfoll – who finally won the World Javelin title at the age of 31 on Sunday having finished second, second, fifth and fourth in the previous four World Championships – will have to concentrate hard following the joy and relief of her first major international victory. She will also have to make sure her mind doesn’t wander to her wedding next month with Boris Henry, the former double World Javelin bronze medallist, as she takes on a field which includes Russia’s Mariya Abakumova. Abakumova, who had to settle for bronze in Moscow in the defence of her 2011 World title, spoke afterwards a little ruefully about the extra pressure of home expectations, and that of having her family present in the stadium. However, there will be no such distractions in the Swedish capital. Don’t bet either against another hugely competitive outing from Australia’s Kimberley Mickle, who set a personal best of 65.73m to qualify for the World final and bettered it twice, finishing with 66.60m to take the silver medal. 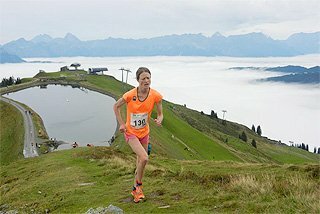 However, nothing can take away the Diamond Race title from the German, who has an insuperable 14-points lead over Abakumova. 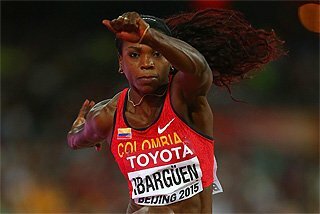 Triple Jump victory in Stockholm would seal the Diamond Race for Colombia’s first World champion Caterine Ibarguen, who equalled the 2013 legal best of 14.85m to take gold last week. However, Ukraine’s 2011 World champion Olha Saladuha, the Moscow bronze medallist, will narrow the gap if she can earn the four points on offer for victory and will want to keep the competition going until the Diamond League final in Brussels on 6 September. 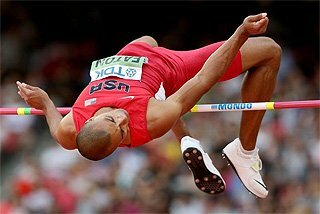 Eight of the top nine High Jump finalists in Moscow are ready to do battle again in Stockholm in what will be one of the most competitive events. Only Spain’s Ruth Beitia, the joint bronze medallist with Russia’s Olympic champion Anna Chicherova, is absent. Chicherova had, relatively speaking by her own high standards, an off-day in the Luzhniki Stadium and only managed 1.97m, but her compatriot Svetlana Shkolina rose to the occasion to collect her first global title and she could still be flying high in Sweden. USA’s silver medallist Brigetta Barrett, who tops this year’s listings with 2.04m, will doubtless be seeking a measure of revenge along with Chicherova, who will want to maintain or extend her three-point lead over Shkolina in the Diamond Race with only the final still to come. Sweden’s Emma Green Tregaro, who also cleared 1.97m on Saturday but missed out on a share of a medal on count back, will be wanting to replace that memory with a more positive one on home territory. The top four finishers in Moscow’s outstanding Long Jump final are all in Stockholm as well, and Russia’s Aleksandr Menkov, who produced the best jump in the world for four years with his winning leap of 8.56m to finished well clear of The Netherlands’ Ignisious Gaisah, will want to maintain his consistently fine form this season. Gaisah, who set a national record of 8.29m, will be there to challenge him again, as will Mexico’s bronze medallist Luis Rivera of Mexico, who managed 8.27m in the Russian capital but who has a best of 8.46m this year, second only to Menkov. Spain’s Eusebio Caceres, fourth in Moscow, is another dangerous contender. Victory would assure Menkov, who is 10 points clear of his nearest challenger, of the Diamond Race this year. 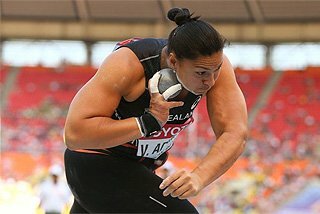 Valerie Adams, who earned her fourth consecutive Shot Put World title in Moscow, looks almost impossible to beat at the moment, although Germany’s Christina Schwanitz had a good go in Moscow as she produced a last-round personal best of 20.41m to take the silver medal behind the New Zealander’s mark of 20.88m and the pair will do battle again in Stockholm. Schwanitz has the incentive of being only two points adrift of Adams in the Diamond Race, with USA’s Michelle Carter, who missed a medal by a single centimetre in Moscow, also keen to make another positive impression. 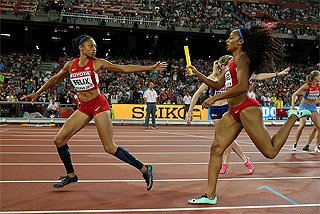 In the absence of Russia’s Yelena Isinbayeva, who upstaged both of them – and, indeed, every other competitor – in the Luzhniki Stadium on the evening of the World Championship Pole Vault final, Moscow silver and bronze medallists USA’s Jennifer Suhr and Cuba’s Yarisley Silva will resume their battle at the top end of the Diamond Race, where the 2012 Olympic silver medallist Silva has nine points, two more than the current Olympic champion Suhr. LaShawn Merritt, who regained his world 400m title in Moscow in 43.74, the best time in the world for six years, will be tested by his US compatriot Tony McQuay, who ran a personal best of 44.40 to take the silver at the World Championships. Dominican Republic’s bronze medallist Luguelin Santos is also in the field. Poland’s Piotr Malachowski, Discus silver medallist in Moscow, is in the gold medal position as far as the Diamond Race is concerned and can extend his two-point lead over Germany’s Robert Harting, the absent three-time World champion. However, Estonia’s former Olympic champion Gerd Kanter, who took bronze behind the Pole at the Luzhniki Stadium, will have his own ideas and watch out too for Iran’s 2012 Olympic Games silver medallist Ehsan Hadidi, who missed Moscow but will want to measure himself against the World Championships medallists. With the late inclusion of three-time World 3000m Steeplechase champion Ezekiel Kemboi, 18-year-old fellow Kenyan Conseslus Kipruto, who took the silver medal in Moscow, will have a battle on his hands to his confirm victory in the Diamond Race. Kenya’s rising star has 12 points, six more than Kemboi and seven more than a third Kenyan, Paul Kipsiele Koech, who is also in the Stockholm field. 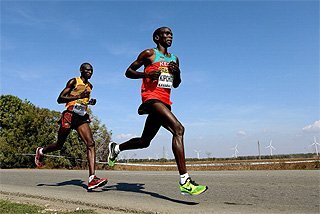 Other Kenyan talents on show in the 14-man field include former Olympic champion Brimin Kipruto and Jairus Birech, who has a best of 8:03.43. 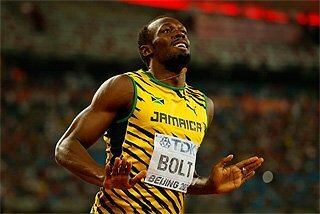 USA’s Curtis Mitchell, who achieved his major championship breakthough by taking 200m bronze in Moscow behind Usain Bolt and his Jamaican team-mate Warren Weir, is the favourite on paper in the 200m field. Jamaica’s Kerron Stewart and USA’s Alexandria Anderson, both Moscow finalists, appear favourites in a 100m field where two of Anderson’s fellow US sprinters look the most likely challengers: Jeneba Tarmoh, who ran a personal best of 10.93 this year, and Barbara Pierre, who has reduced her personal best to 10.85 in 2013. 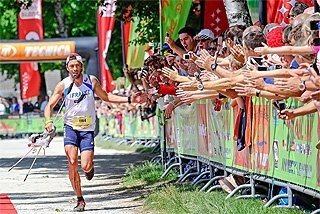 20 AUG 2013 General News Ethiopia’s Dinknesh Mekash destined for Marathon greatness?